You probably know you need a will – a document that states your final wishes – but you may not realize quite how important and necessary it is or how to make a will to ensure your assets are passed on as you intend. It is important to write a will to ensure your assets are divided up and allocated to your beneficiaries as you wish. Whether you are young or old, rich or poor, a will ensures your assets are not held up in legal limbo after you die. If you don’t make a will, your assets could quite easily end up in the hands of family members or beneficiaries you don’t care for much. Without a will, your assets will be divided according to state laws, called intestacy laws. These laws spell out who gets what if no will has been created. To protect your intended beneficiaries from such hassles, the following steps will show you how to make a will. The first step in creating a will is to create a personal balance sheet with a list of your personal assets, both tangible assets and intangible assets. After you have taken stock of what you own, the next step is to assign a value to each of the items. Calculating how much your intangibles are worth is easy – simply look at your account balance statements. For your tangible assets, such as your home, an outside appraisal may be needed. A will allows you bequeath assets to your loved ones as you intend. Pay heed if you have joint bank accounts, or family members listed on life insurance policies or retirement plan accounts because these take priority over the wishes expressed in your will. After you have accounted for your assets, the next step is to figure out who gets what. It is not quite as simple as assigning certain assets to certain people in your will. If you have a joint bank account with a spouse or a child, for example, those beneficiary designations take priority over how you allocated who gets what in your will. So, if your children are fully grown yet still listed on bank accounts that you intend your spouse to receive in full, consider removing their names on the accounts so your assets are divided up as you wish. When you are deciding who gets what, you may wish to include your family members in the process. Some family members may have a special attachment to say an heirloom you plan to pass on while another may have no interest in it. By inviting your family members to share their preferences, you can better assign your assets to the beneficiaries who value them most. If you are unsure how to write a will, it is best to hire an attorney, especially if you foresee any unusual circumstances after death, such as a family member challenging your will. However, you are not legally required to hire a legal professional – you can write a will yourself without legal consultation. A will is a legal document but you don’t necessarily have to hire a lawyer to write your will. You should write the will in clear, unambiguous language. It is generally best to steer clear of emotions or reasoning in your will. For example, you don’t have to explain why one person is being willed an asset over another person. The executor of a will has responsibilities to pay expenses and debts, as well as to distribute property and assets. The will executor has a big responsibility so make sure a family member selected has the time to carry out the duties of an executor or consider hiring a neutral third-party, such as an attorney or financial institution. The person(s) you choose as executor of your will can be a family member, a beneficiary or someone unrelated who acts as a neutral third-party, such as an attorney. An executor is granted the power to distribute the deceased person’s property and arrange for the payment of debts and expenses. It is both a powerful role and a time-consuming one, so you should select your executor carefully. It can be a heavy burden on a family member at a difficult time so it is important the executor has the time and capability to carry out their duties. The benefit of choosing a family member is that they are more likely to carry out their duties pro bono whereas a third-party will charge fees for performing their duties. However, if you suspect that a family member won’t be efficient or responsible in carrying out the duties of an executor then a professional may be the better choice. 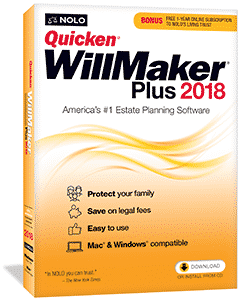 To make sure your will in good order, hire an estate attorney from a reputable firm, such as LegalZoom, who can walk you through the steps of making a will official. High net worth individuals should also consider hiring an estate attorney, especially if the estate value exceeds thresholds that result in federal estate tax liabilities. The type of attorney you should select to make a will or act as an estate executor is an estate attorney. To save on costs, it is a good idea to get started writing a will yourself. List your assets and how much they are worth, and put pen to paper to figure out who you want to get what. If you want to make sure everything is in order, you can then consult an estate attorney. Online legal companies, such as LegalZoom, have estate attorneys who are very familiar with writing wills for clients and charge affordable rates. You can schedule a consultation to discuss your unique financial situation and ensure your assets are divided as you wish among your intended beneficiaries. High net worth individuals would be especially well advised to consult with an estate attorney. In 2017, the threshold estate value which results in federal estate tax liability is $5.49 million. If your estate value lies above this level, an estate attorney will be especially valuable to help ensure a tax-efficient transfer of assets. Verify your will with a notary and make sure at least two witnesses are present when signing your will. After making a will, it is important to verify it is in good legal standing by signing it in the presence of at least two witnesses. A notary can verify your will also. Be sure then to let either your beneficiaries or the executor of your will know where you plan to store your will. It is generally advisable to store it somewhere safe, such as a safe deposit box to ensure it is not damaged by say a water leak or some other natural disaster. After going to the trouble of creating a will, the last thing you want is for the will to be lost or destroyed needlessly due to inclement weather or because it was stored haphazardly. To change your will, simply update your current will to reflect your new financial changes and make sure at least two witnesses are present when signing. If a first spouse passed away, and you have re-married or perhaps you have sold a home and bought a new one or acquired more assets or simply opened new bank accounts, it is best to change your will to reflect your financial changes. Changing your will is as simple as updating the original document and having at least two witnesses present when signing the revised will. By updating your will, your beneficiaries get to avoid any ambiguity during the probate process which might otherwise tie up assets for an extended time period in legal wranglings. >> Find Out Which Is Better: A 401(k) or an IRA? >> Who Are The Best IRA Providers? ‹ How Fast Can I Double My Money?